Zamboanga City [03.18.16] – The slain former municipal mayor and is running for re-election of the island town of Pangutaran, Sulu was buried today in Zamboanga City. His political career was sealed yesterday in a bloody fashio by an assassin’s bullets on past 4:00 o’ clock Thursday afternoon in downtown Zamboanga City, Zamboanga City Police said. Former mayor Hadjji Ahmad Nano y Alip, 55 years old was on board his Toyota Hi-Lux when shot by still unidentified suspects on board on a single motorcycle along the junction of Crispin Atilano and Candido Streets in Barangay Tetuan, Zamboanga City. He sustained two fatal gunshot wounds on his right chest hitting his heart and died upon arrival in the hospital. Zamboanga City police are still investigating the motive of the killing while the real identities of the motor riding suspects who were wearing masks and full face-helmets remain unknown. Nano is running under the banner of United Nationalist Alliance against incumbent Mayor Amilhamja K. Taib al-Hadz at the time of his demise. He was elected mayor of Pangutaran in 2001 up to 2010, but lost in his re-election bid in 2013. A highly placed source who spoke to The Philippine Examiner on condition of anonymity, a lady politician believed to be an emissary of a political strongman from Sulu has approached Nano prior to the killing and allegedly offering a hefty amount of PhP20 million, in exchange to shift political alliance to the ruling Liberal Party. 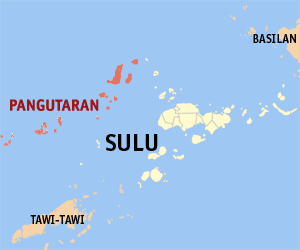 Nano’s assassination is the latest killing of local Sulu politician committed in Zamboanga City as the forthcoming local election campaign approaches. Last February 7, 2016, Bongao, Tawi-Tawi Mayor Jasper Que was also wounded in an apparent slay try in Zamboanga City. He suffered three gunshot wounds to his arm, leg and buttocks, but he survived though his assailants escaped. In June 2011, the former Maimbung mayor Najib Maldisa was also killed by a motorcycle riding gunman near the San Roque cemetery in Zamboanga City, but luckily, his wife Mufaida survived in the attack. The manner of executions are manifesting almost similar patterns –the undetectable gunmen were using single mtorcycles, masked and wearing full-face motorcycle helmets – all of them occurred in Zamboanga City, another source said.